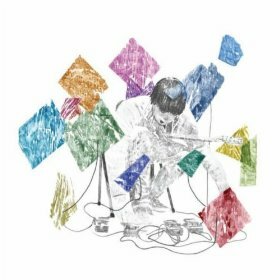 Tweaked out guitars reign supreme, all at the singular yet masterful hand of Dustin Wong on his latest release, Infinite Love. Using pedals to enhance layers of his electric guitar, he creates a unique landscape of sound. Infinite Love is a two-disk set featuring only two tracks total, “Brother” and “Sister.” With both tracks timing out at about 40 minutes in length each, the music varies and consists of instrumental textures of layered guitar. The dynamics of filters, distortion and loops create all sorts of emotion and give the album exuberant character. Within the confines of both tracks, the world built is astounding. Guitars break way and morph into different genres that range from techno and punk to rock and blues. An occasional drum machine can be heard against chirps of orchestrated guitar fuzz and jaunts of jubilant riffs. The experimental stylings of contorted and sometimes even toned choruses and solos runs abound. At times, guitars beat like drums and sounds reserved usually for piano are made beatific by pounds of guitar that build their own choir. Atmospheric leaps of indie rock guitar push nicely against walls of blurred-out chords. Infinite Love remains a tricky yet delightful project where one man and his guitar are the fountain from which upheaval and harmony spring.